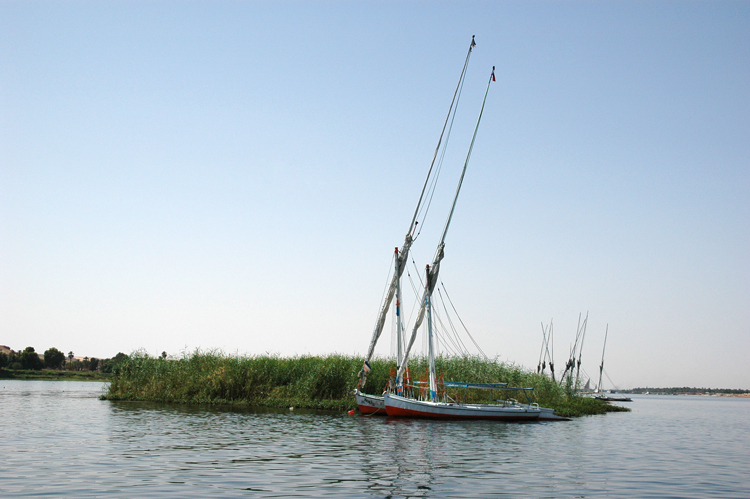 When you cruise the Nile in a felucca, you better have an engine or at least oars. The winds are both light and fluky, while the current relentlessly heads north. Feluccas have been around for thousands of years, and their design allows them to transport heavy cargo. They don't have much freeboard because the waves are small in the Nile. Feluccas aren't racing boats, but they carry a lot of sail, and when the wind pipes up, they really take off. On a good day you can sail like a banshee, and on a bad day you will drift down steam in the sun. Feluccas have a barn door rudder that's big enough to be your kitchen table. I'm not sure why it's so large. Maybe the rudder needs a large surface area to impart directional stability and control a heavily laden Felucca in the sometimes fast flowing Nile. 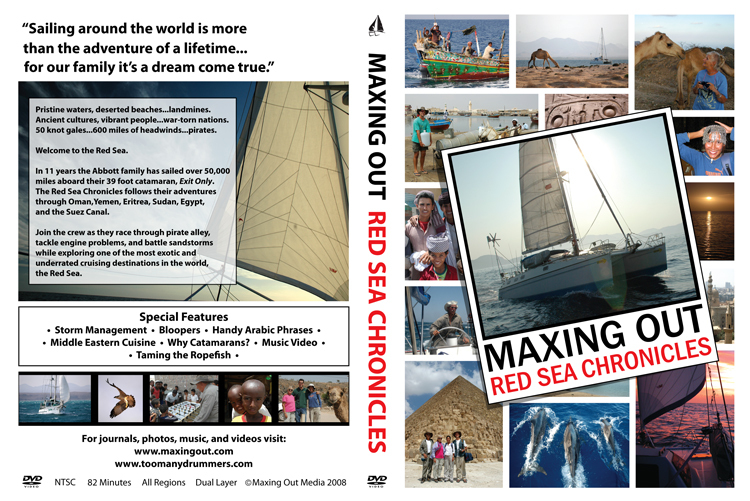 Sailing in a Felucca is unique. You're actually sailing back in time. As you look to port and starboard, you survey Pharaoh's domain. The rich Nile flood plain contrasts sharply with the stark escarpments in the distance. The Valley of the Kings and Queens beckon, and you are actually there. 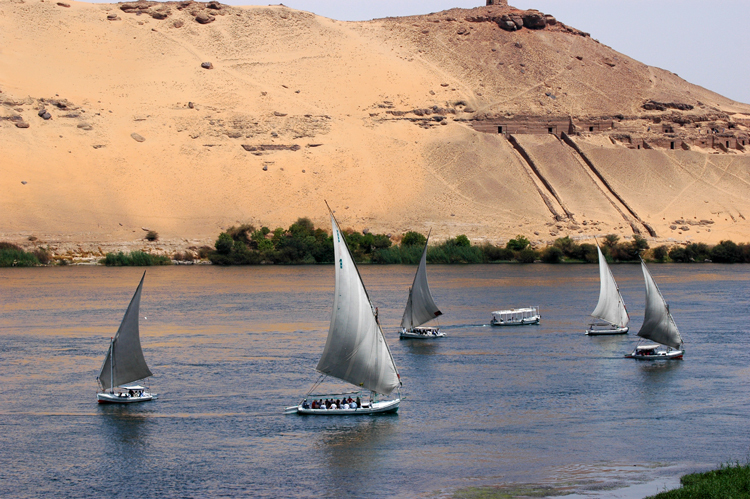 At Aswan, the feluccas have a great view of ancient tombs chiseled into the hillsides above the Nile. Dock space is expensive, and many felucca owners moor their vessels out in the middle of the river where it's free to anchor. 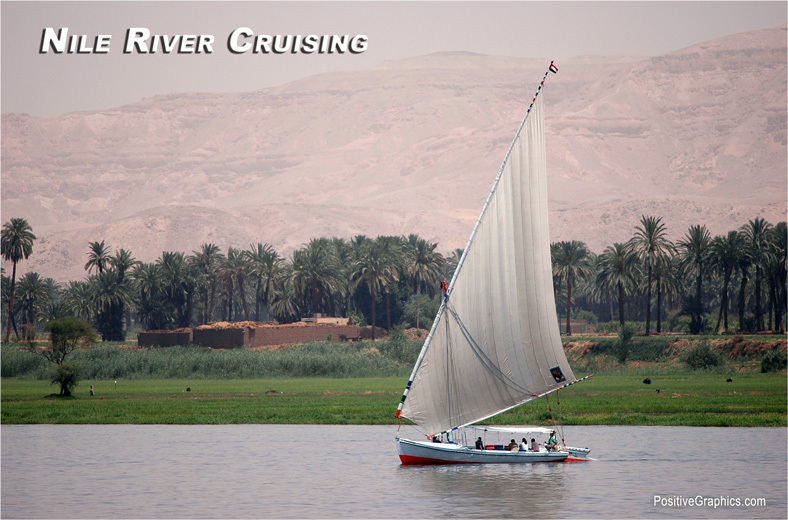 This may not be a felucca, but it's an affordable way to cruise the Nile.